I know some of you have been alarmed by seeing one of my murials being taken down. 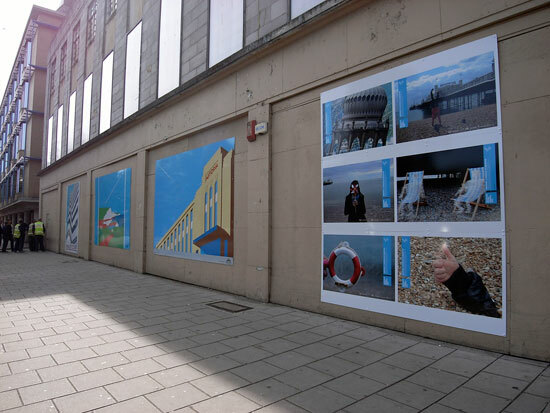 Rest assured it’s only temporary – to accommodate some photos from the Brighton Photo Biennial. This runs from 2 October until 14 November and guest curator is Martin Parr. There’s also a Photo Fringe running alongside the main event. If you’re wondering what all those guys in hi-vis jackets are doing, well, all I know is that they were from the gas board, arrived in several vans and disappeared inside the Astoria!